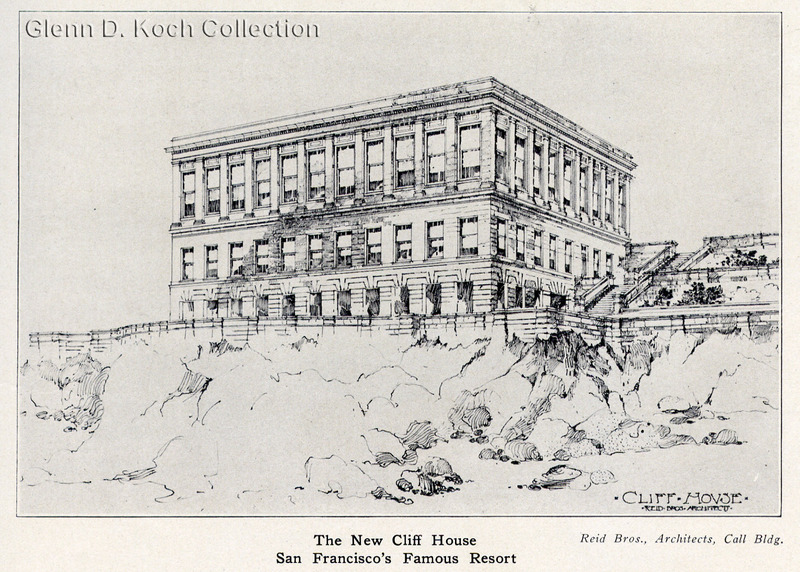 Reid Bros., Architects, Call Bldg. 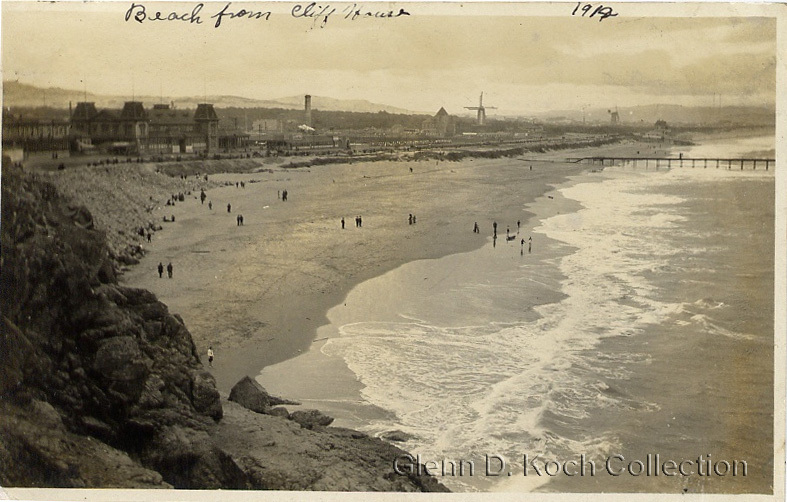 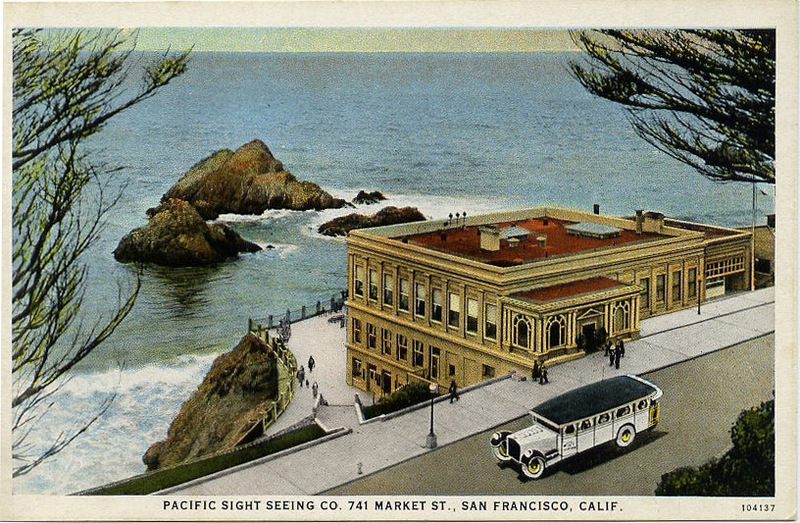 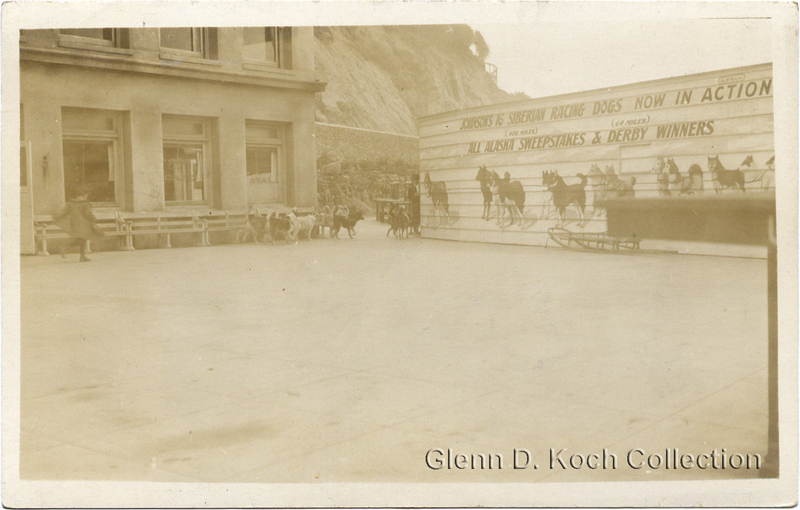 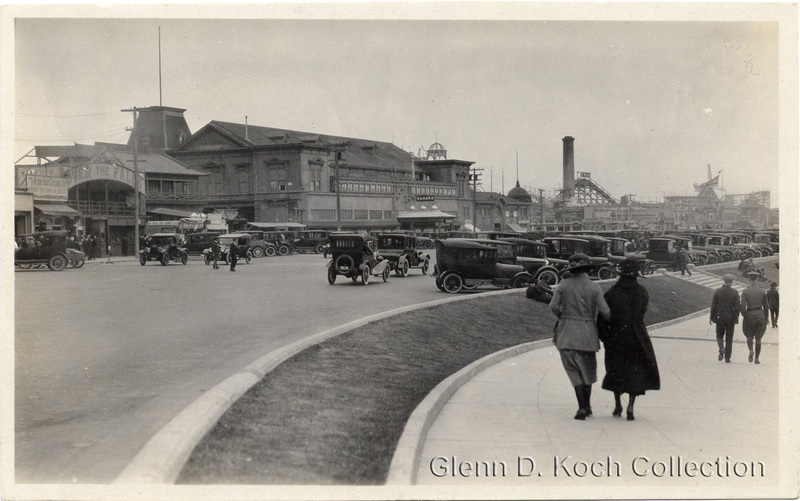 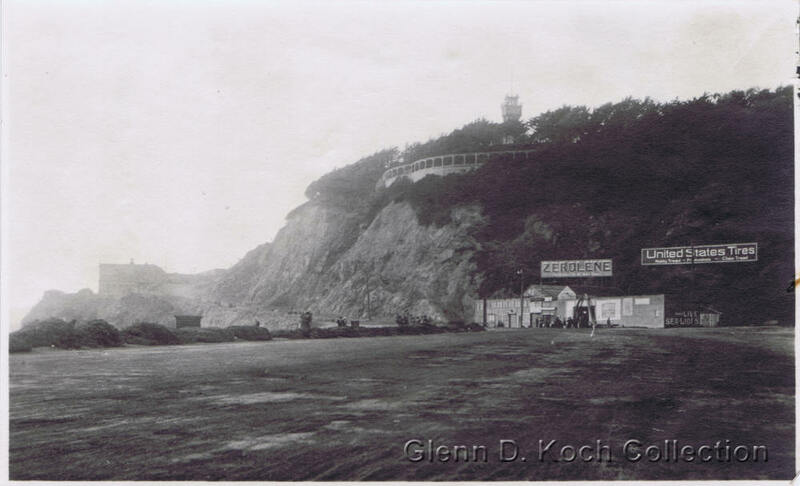 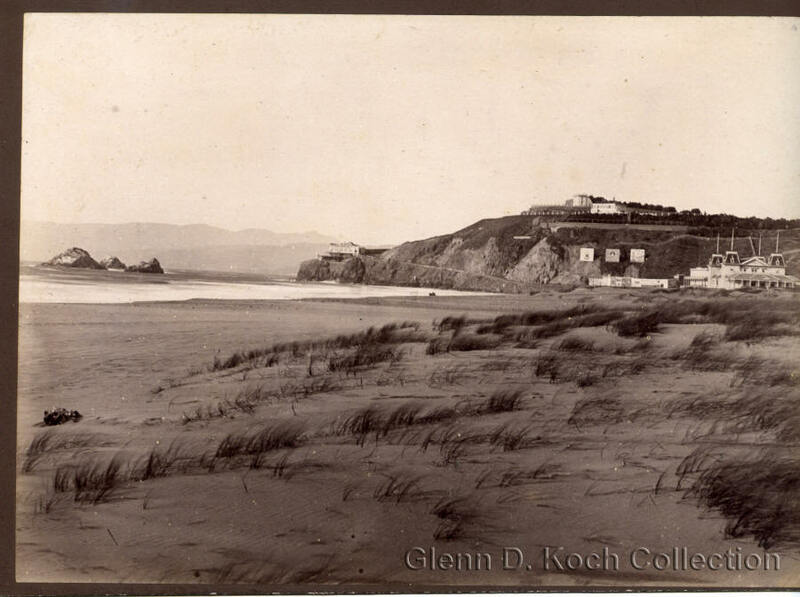 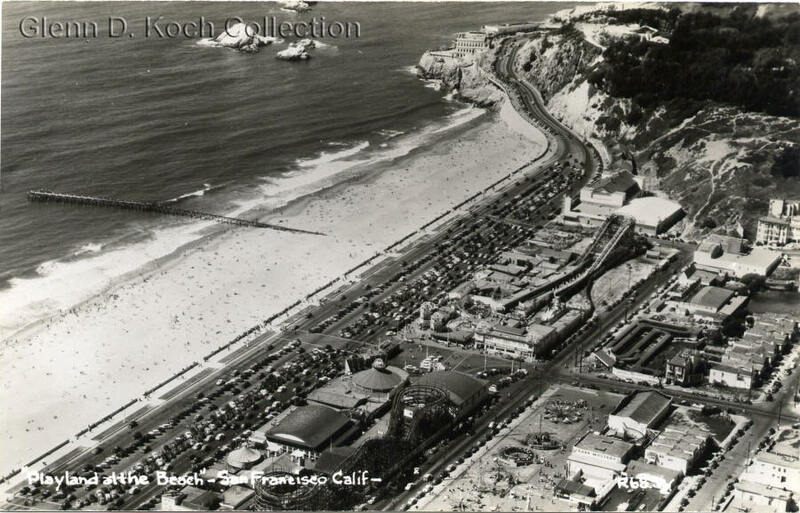 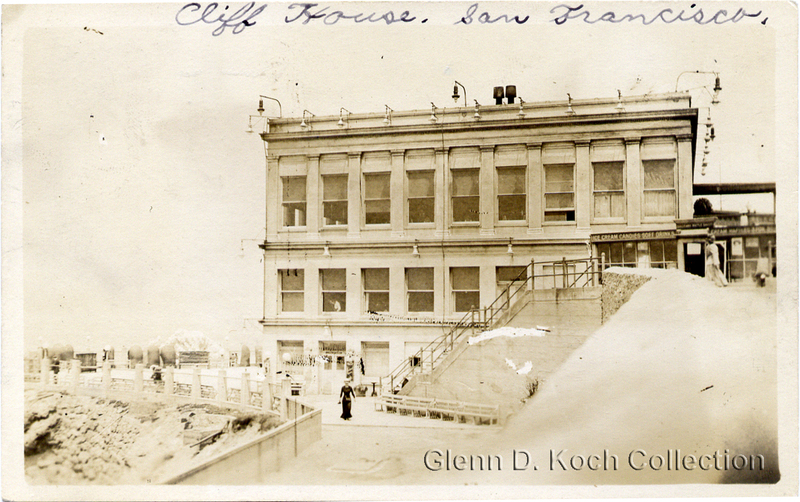 "Beach from Cliff House, 1919"
PACIFIC SIGHT SEEING CO., 741 MARKET ST., SAN FRANCISCO, CALIF.
Siberian Sled Dogs at the Cliff House? 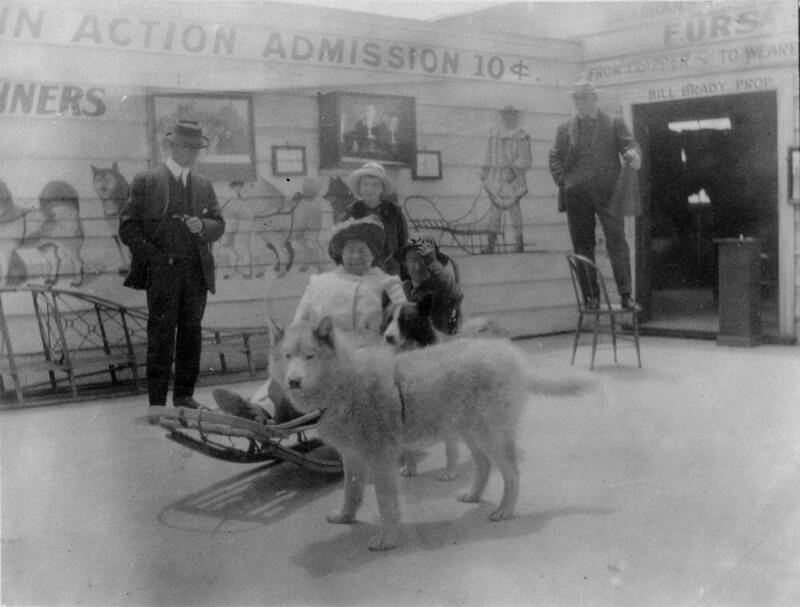 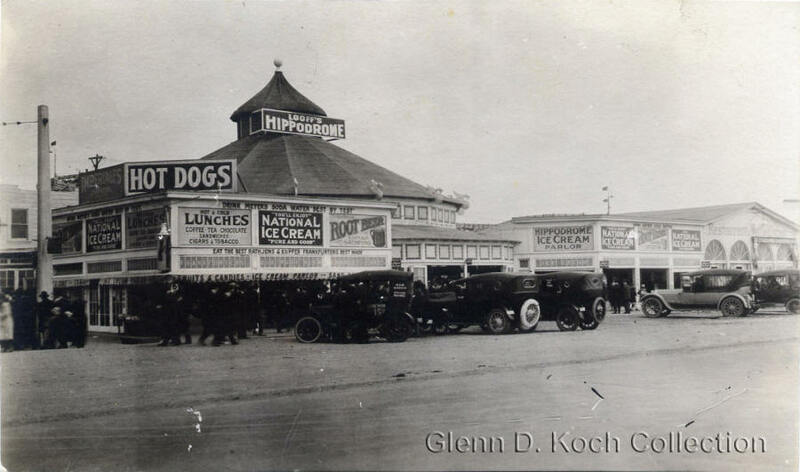 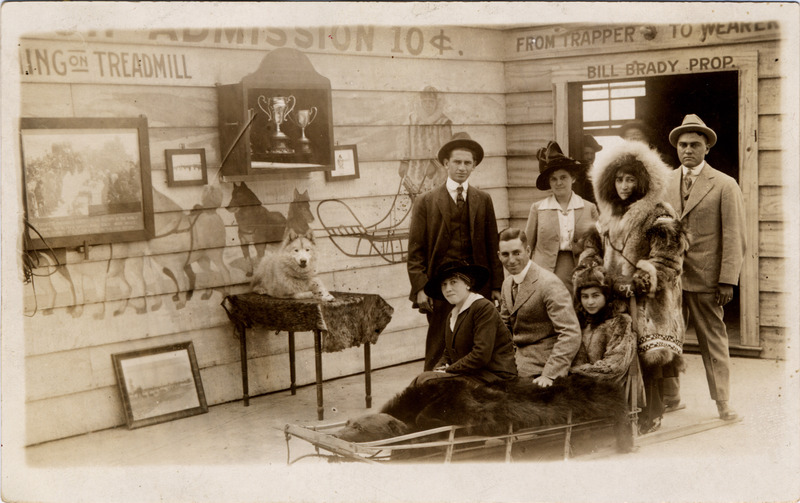 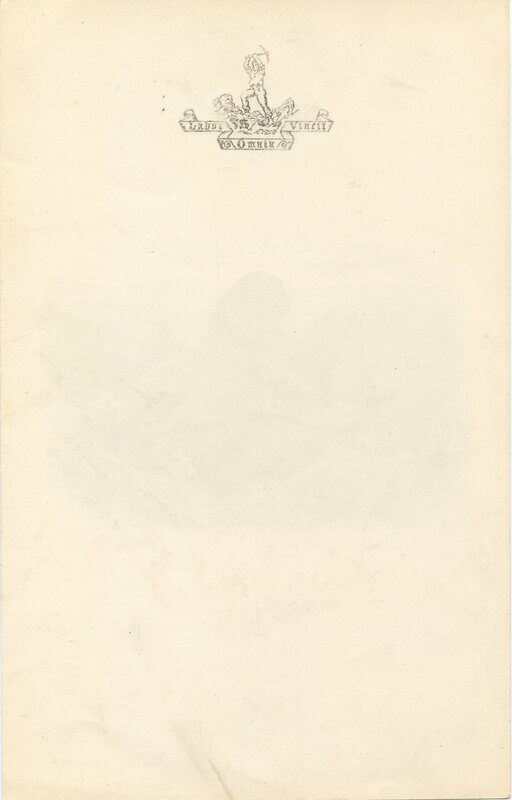 "JOHNSON'S 16 SIBERIAN RACING DOGS NOW IN ACTION ADMISSION 10¢"
"ALL ALASKA SWEEPSTAKES & DERBY WINNERS"
"FURS" "FROM TRAPPER TO WEARER" "BILL BRADY PROP." 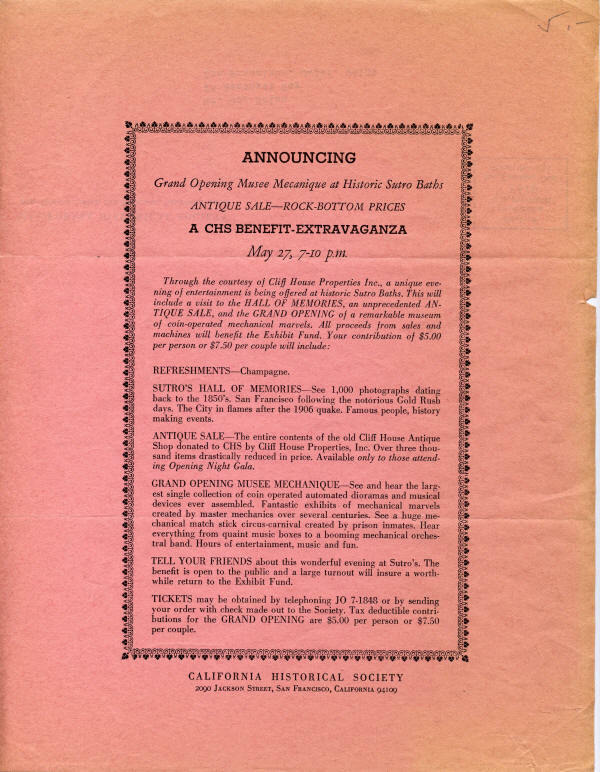 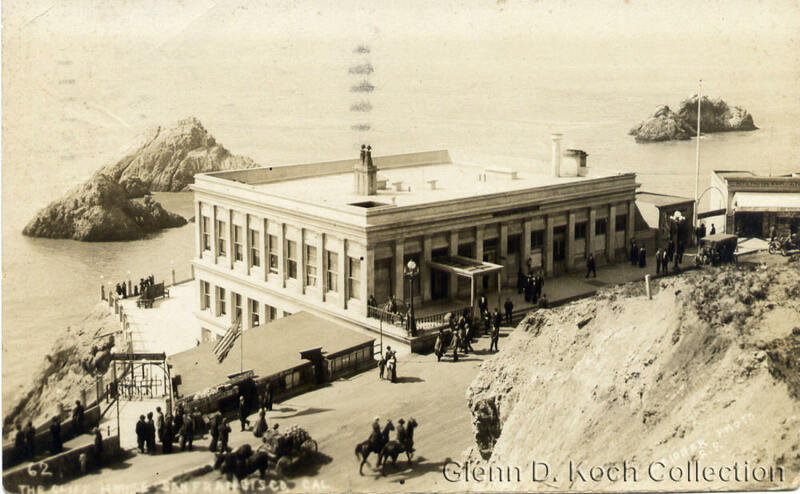 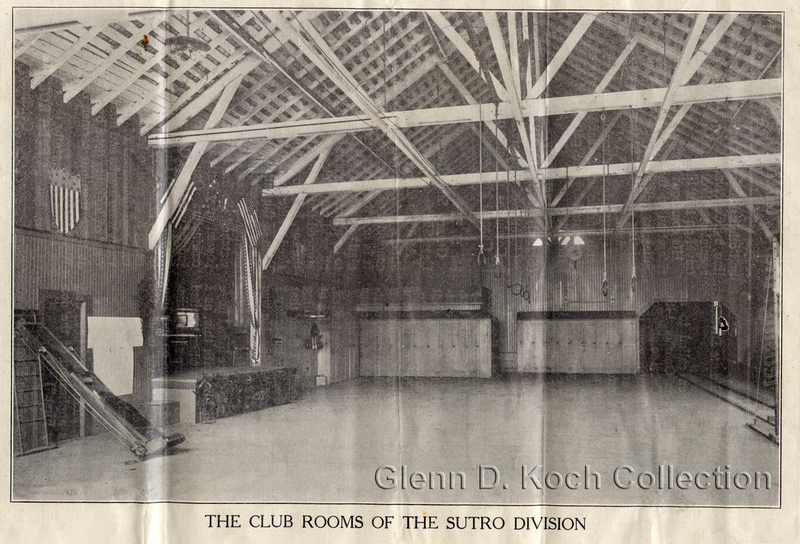 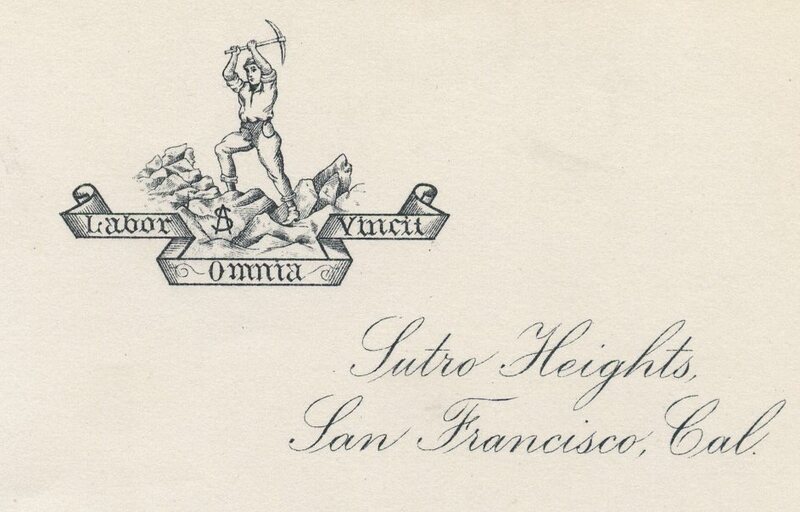 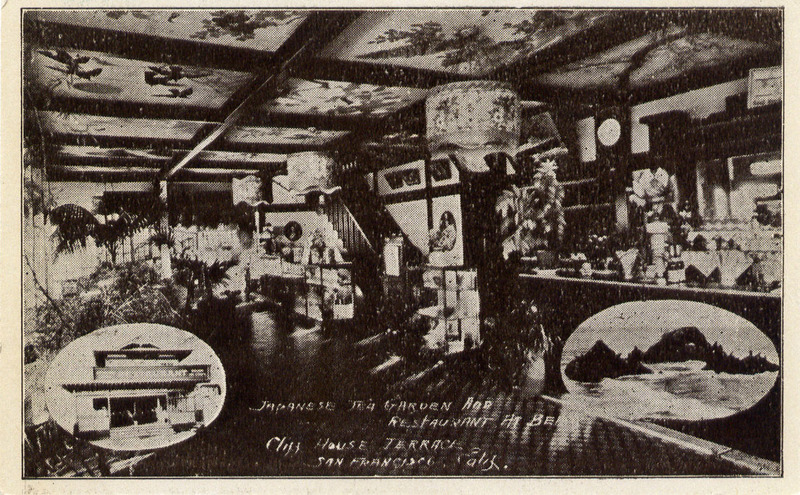 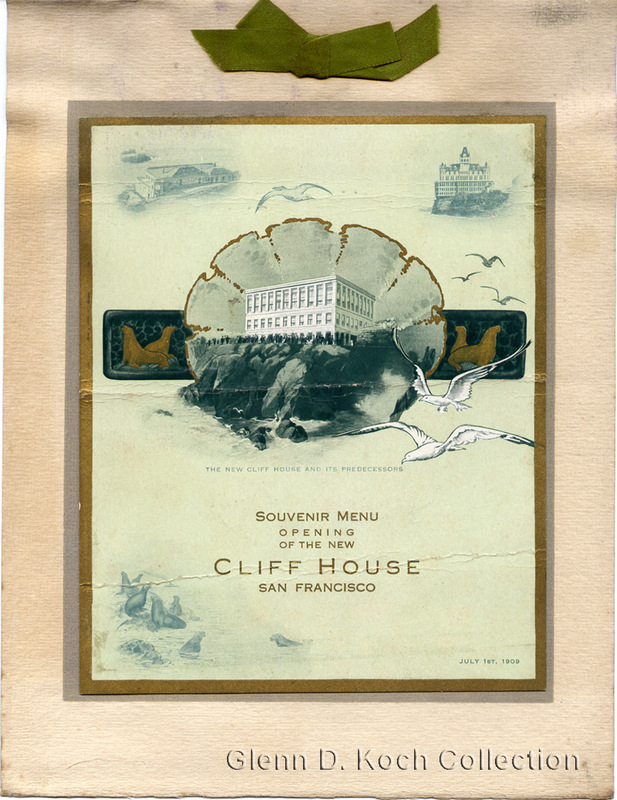 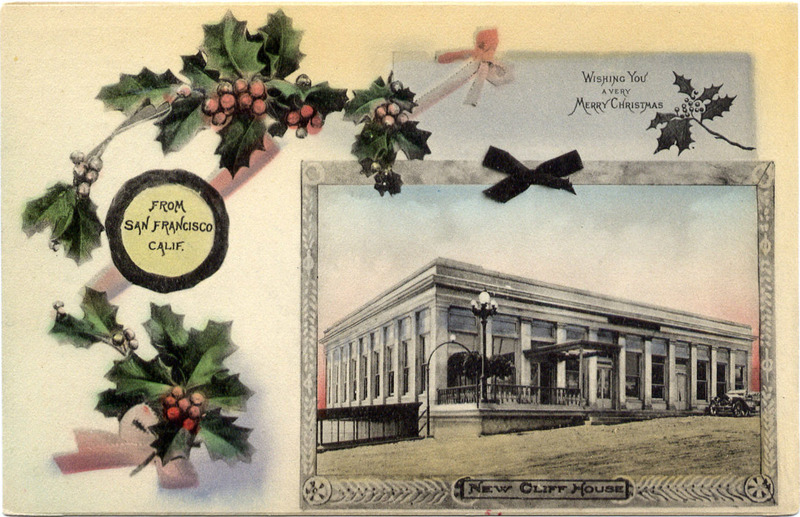 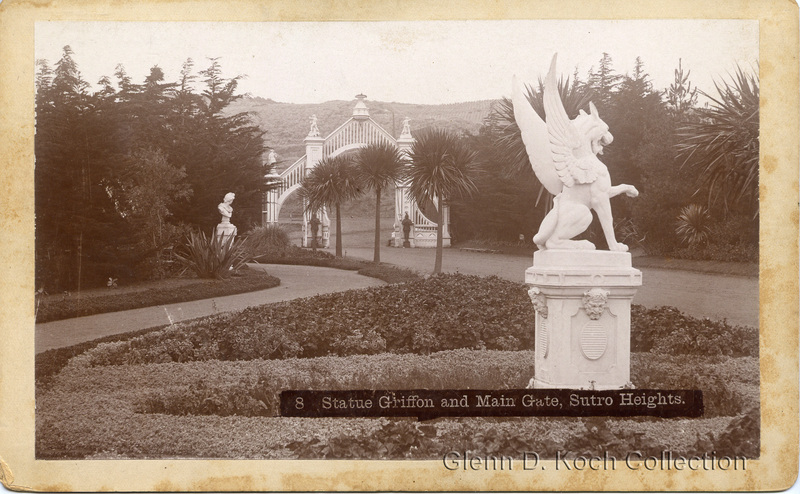 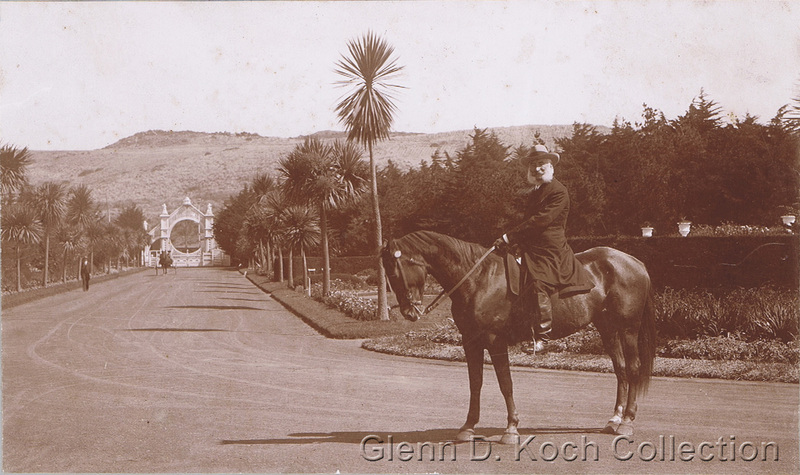 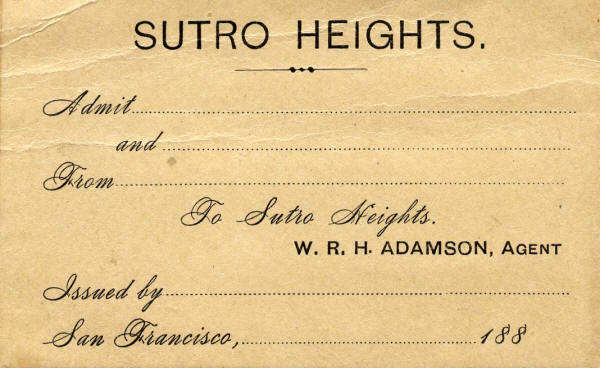 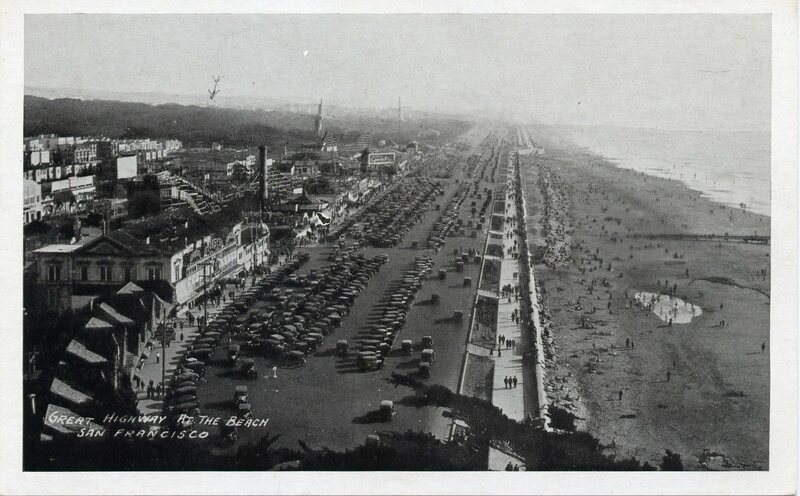 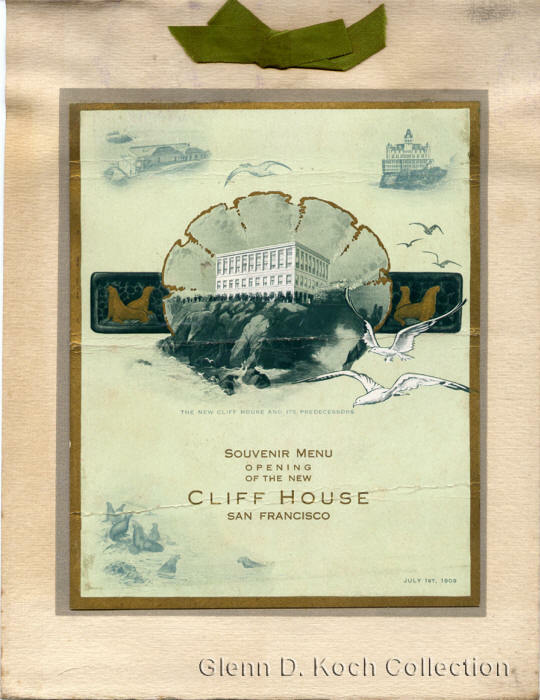 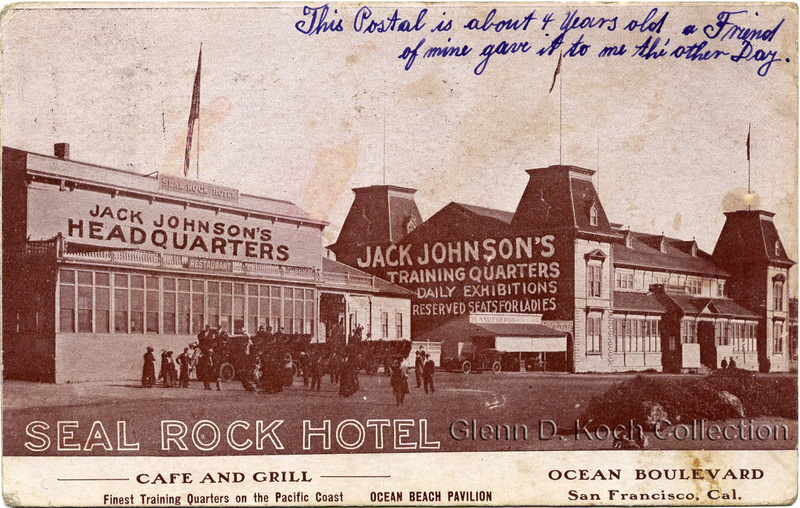 REVERSE: "At the Cliff House Sun Morning July 25th/15"
"Statue Griffon and Main Gate, Sutro Heights"
"CLIFF HOUSE, SAN FRANCISCO, 1887"
"THE CLUB ROOMS OF THE SUTRO DIVISION"
"ZEROLENE", "United States Tires", "and LIVE SEA LIONS"
Is there a pair of cables in the upper portion of this image? 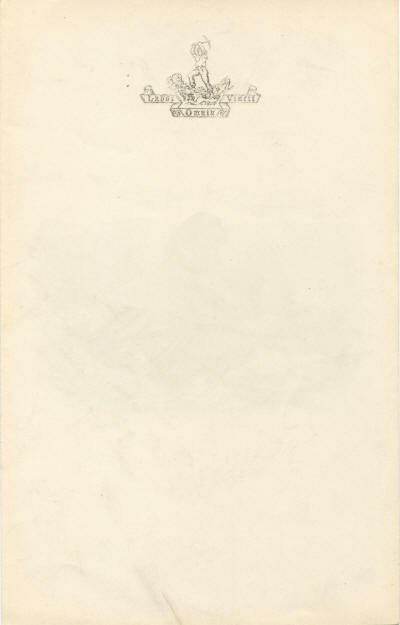 "6679 Elevator Promenade. 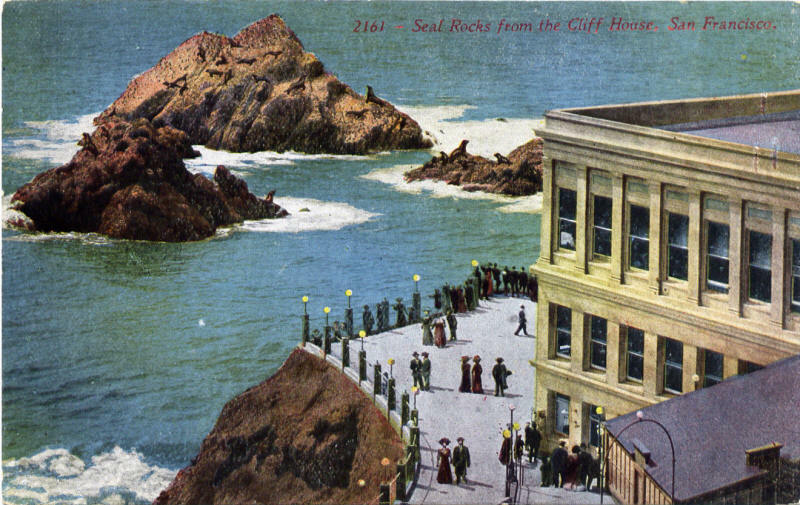 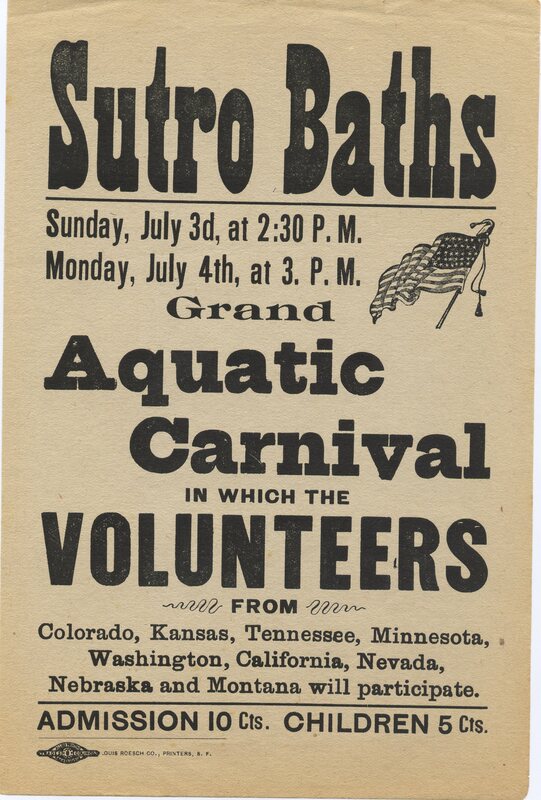 Sutro Baths, San Francisco, Cal. 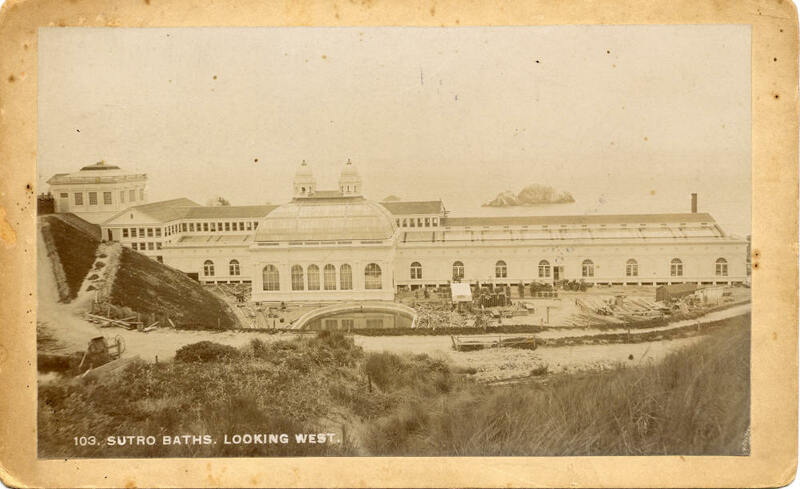 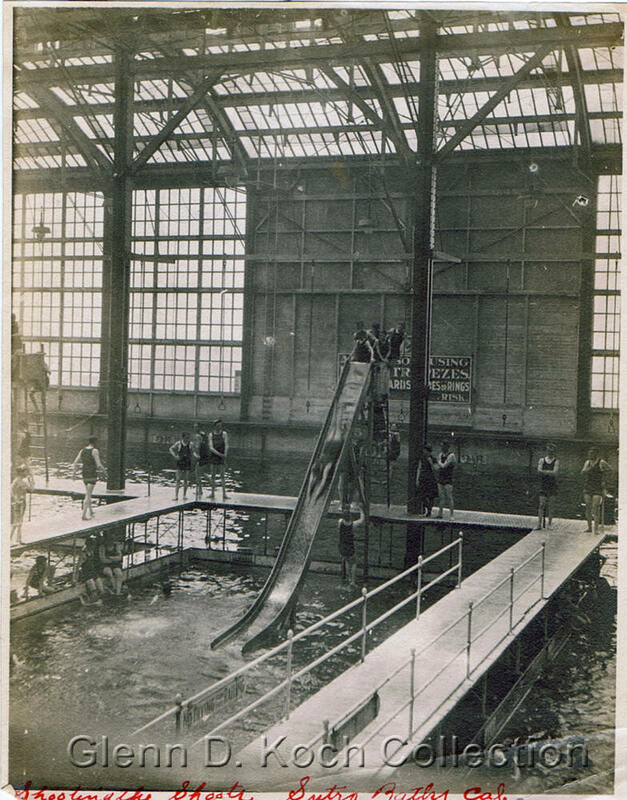 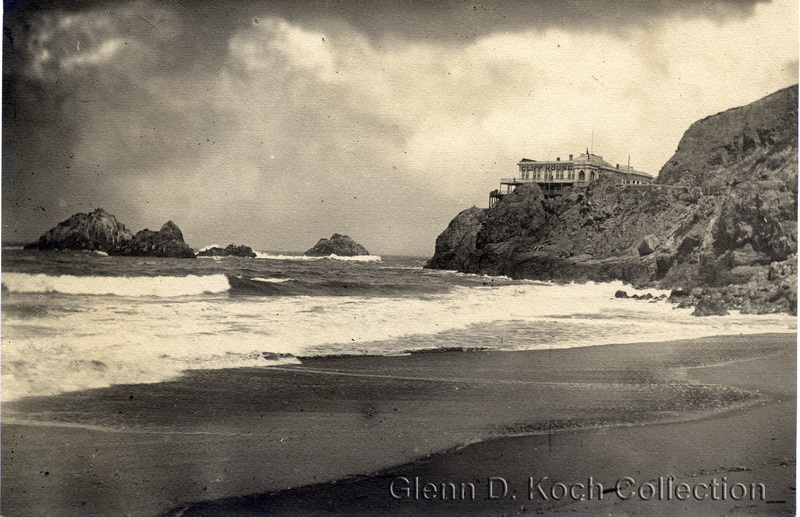 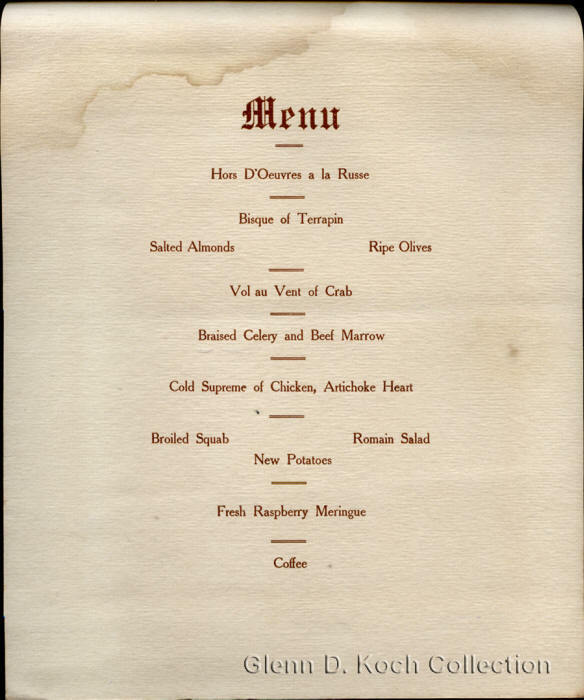 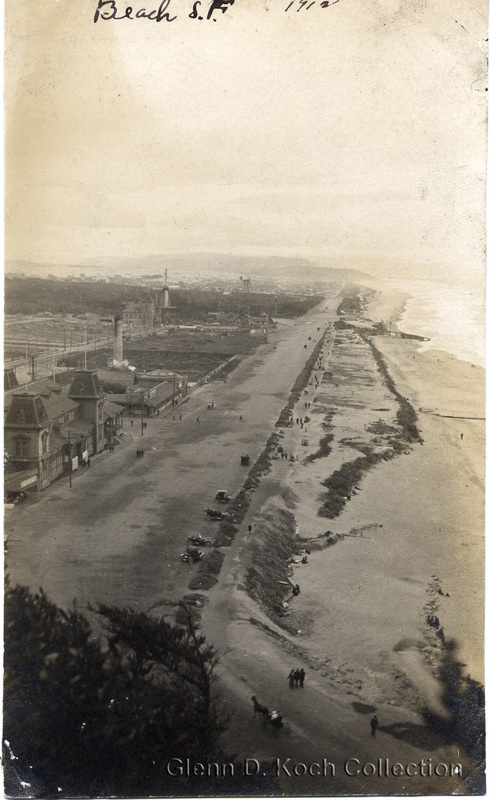 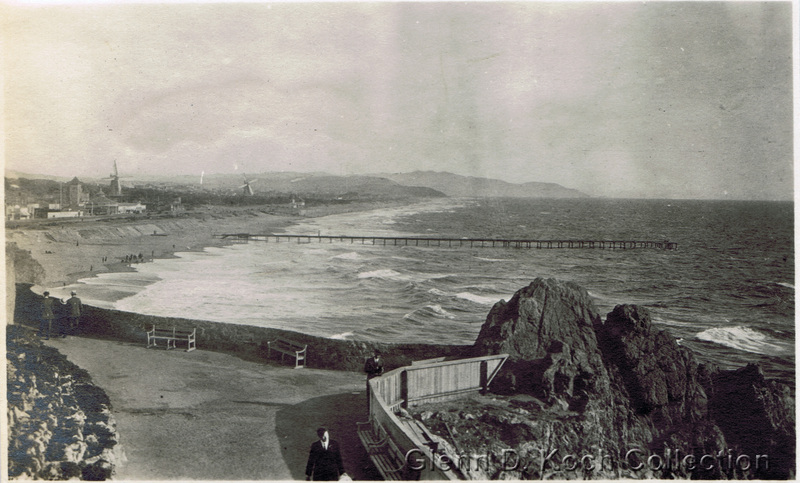 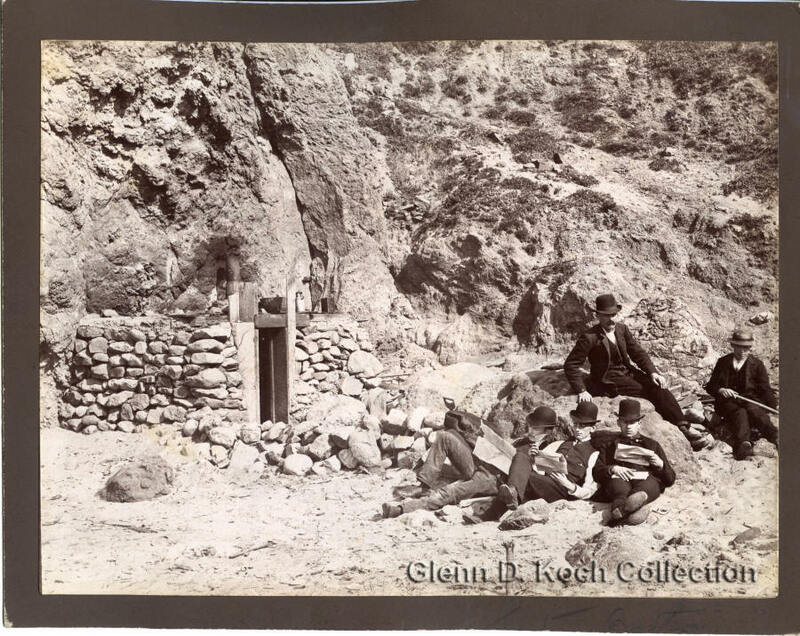 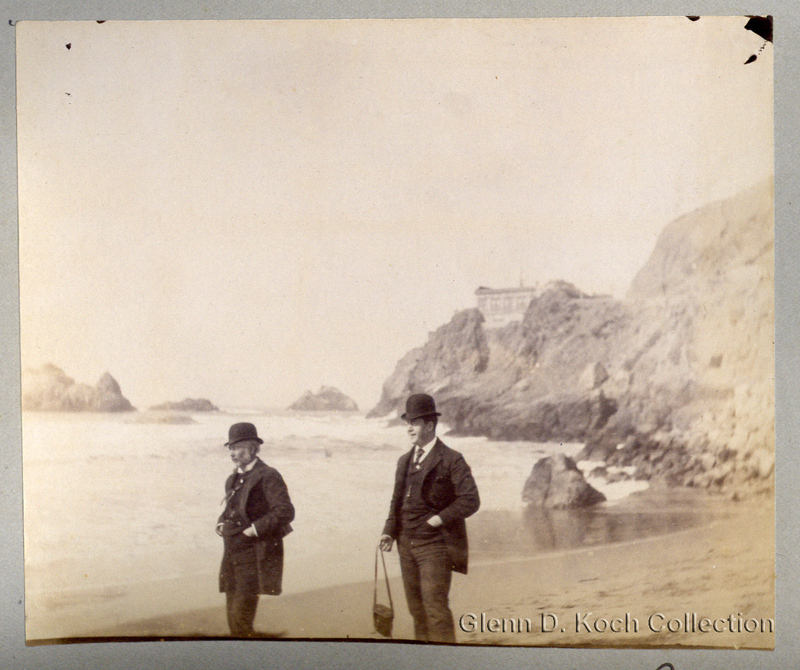 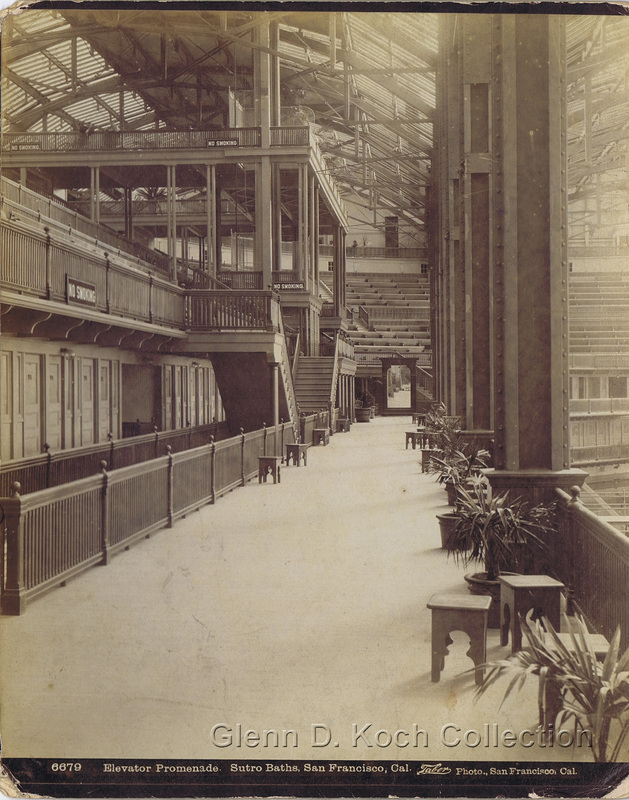 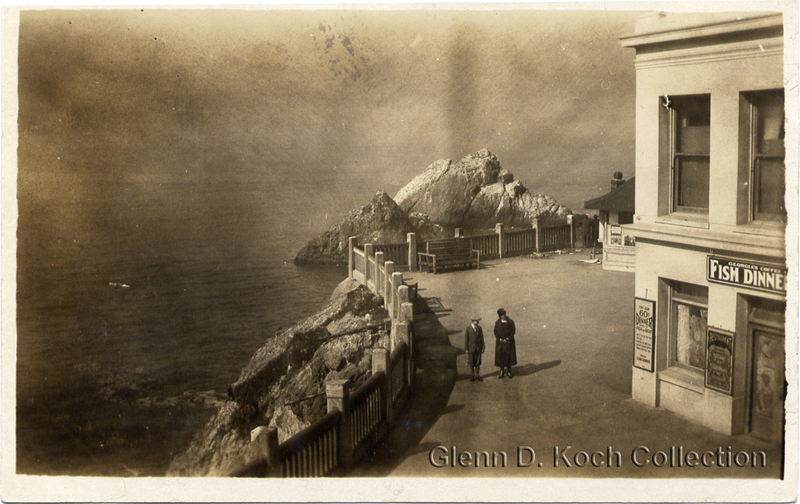 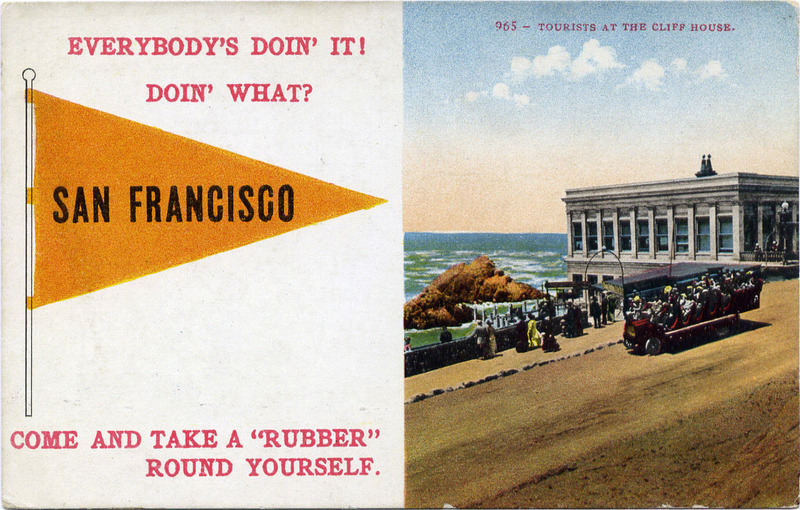 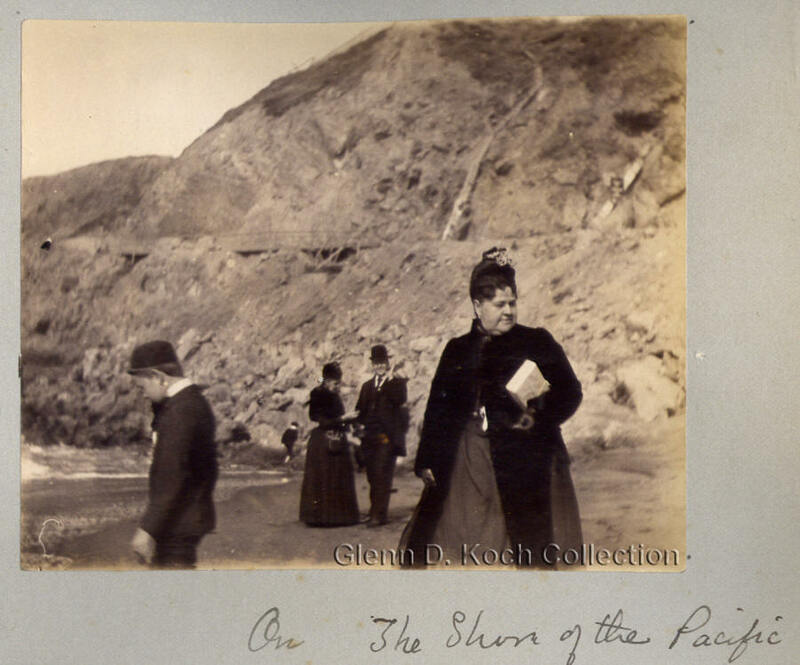 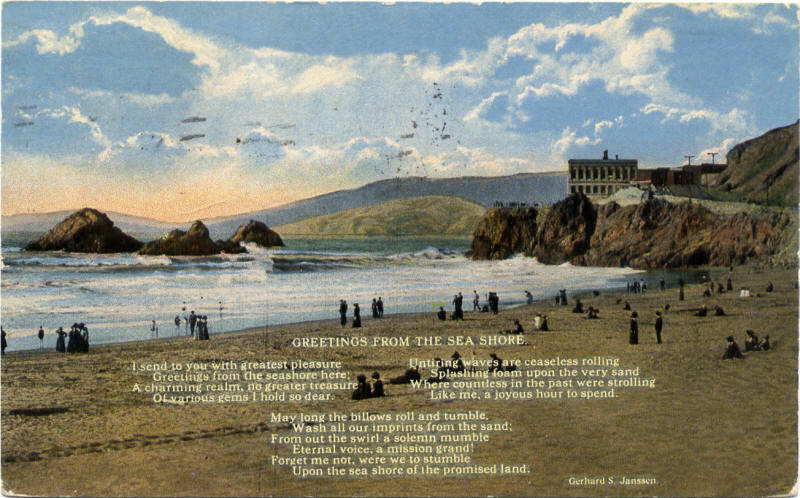 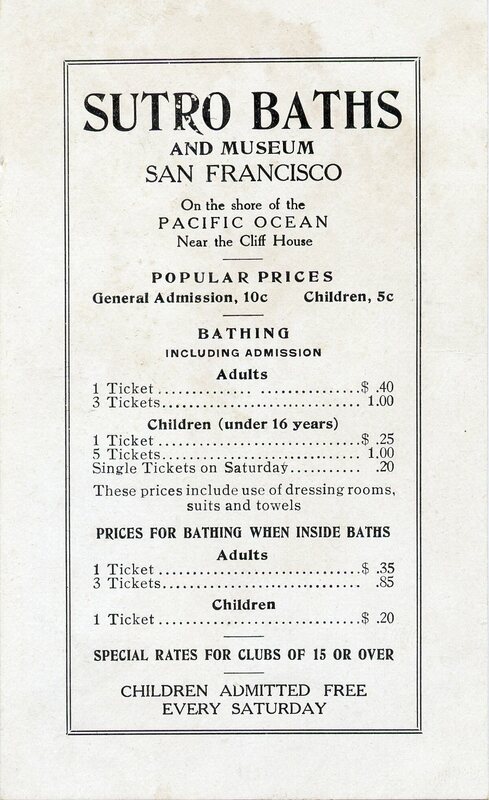 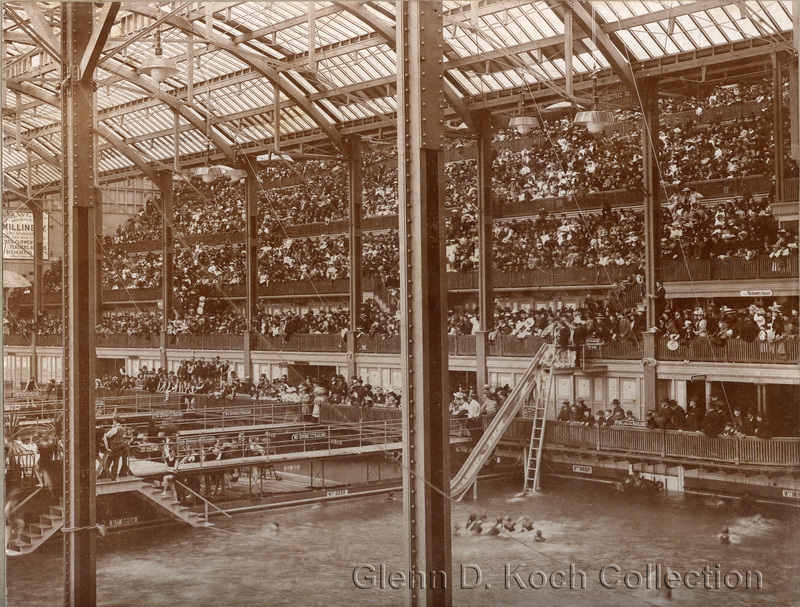 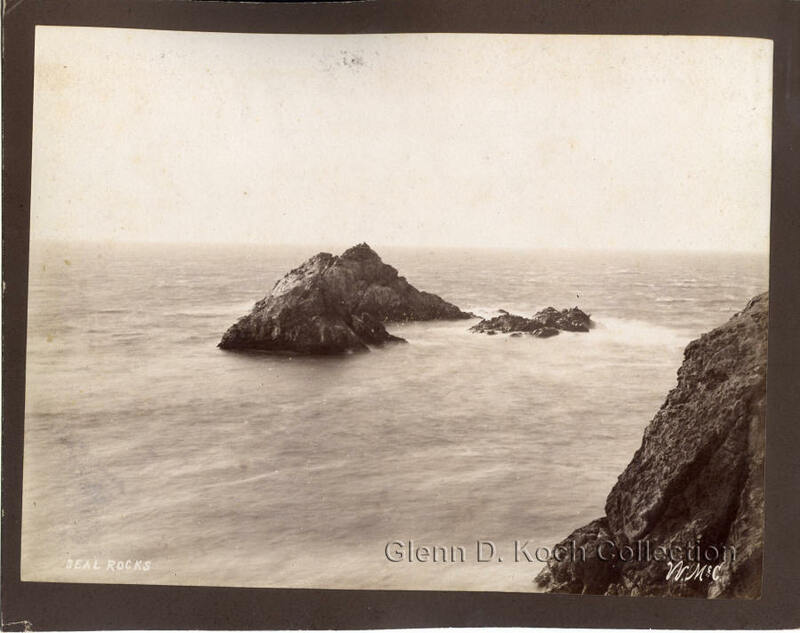 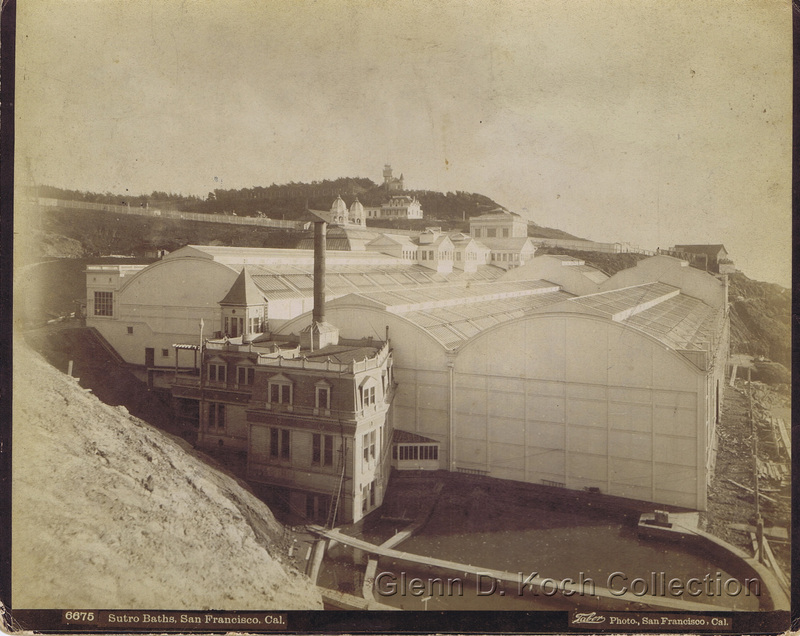 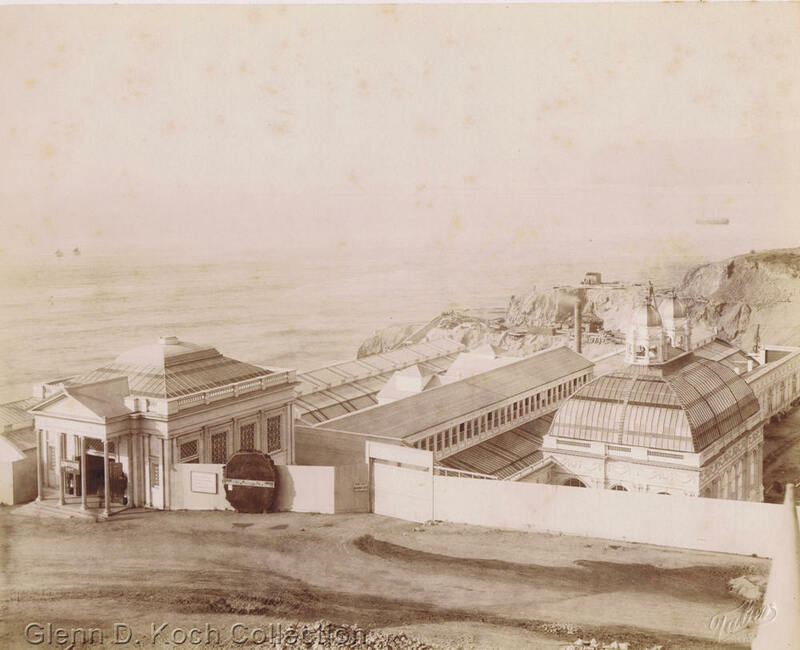 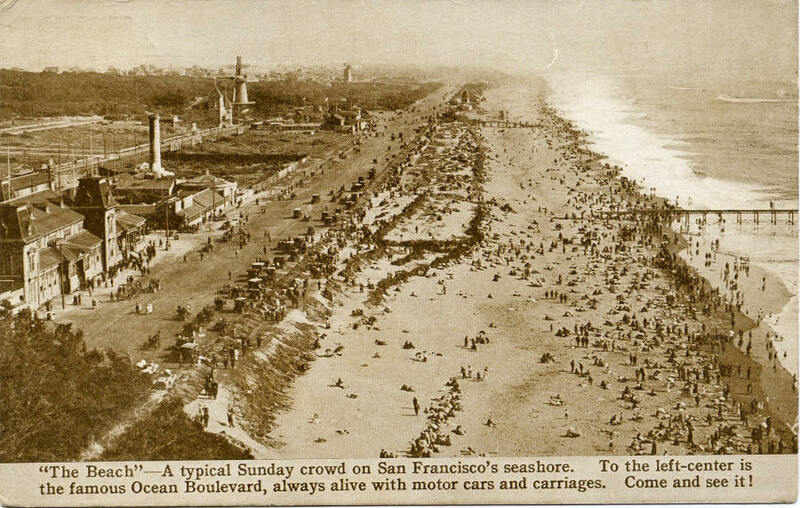 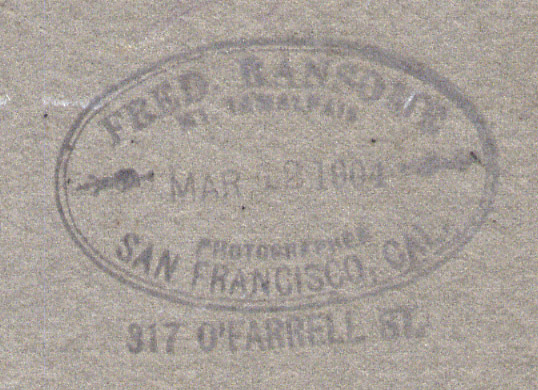 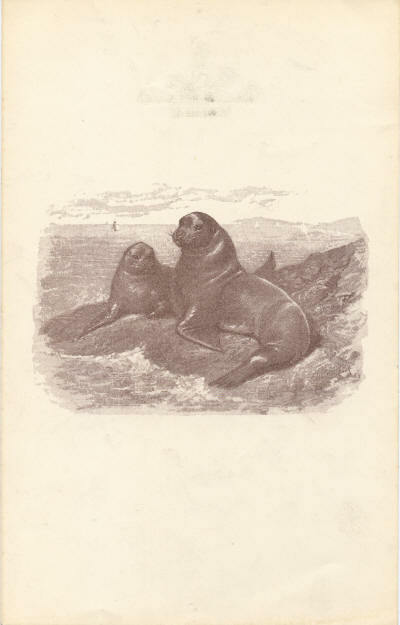 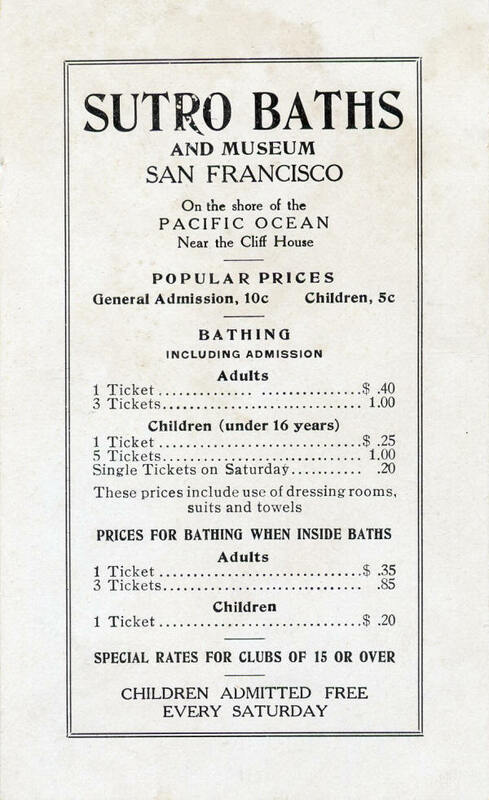 Taber Photo., San Francisco, Cal"
"6675 Sutro Baths, San Francisco, Cal. 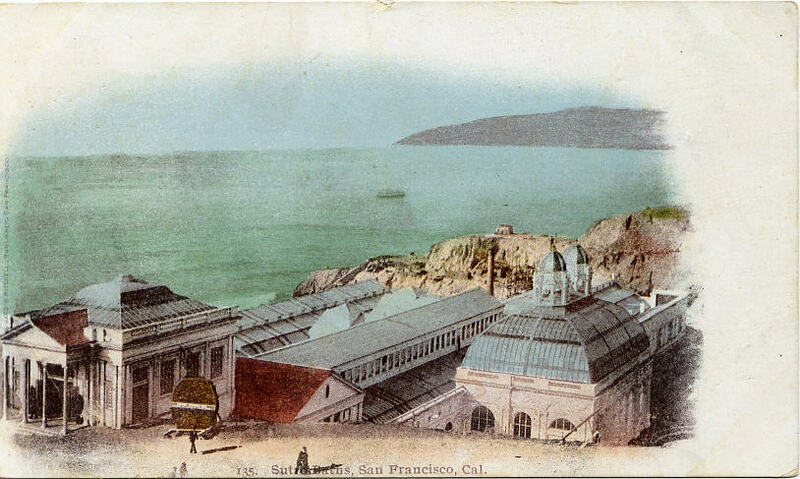 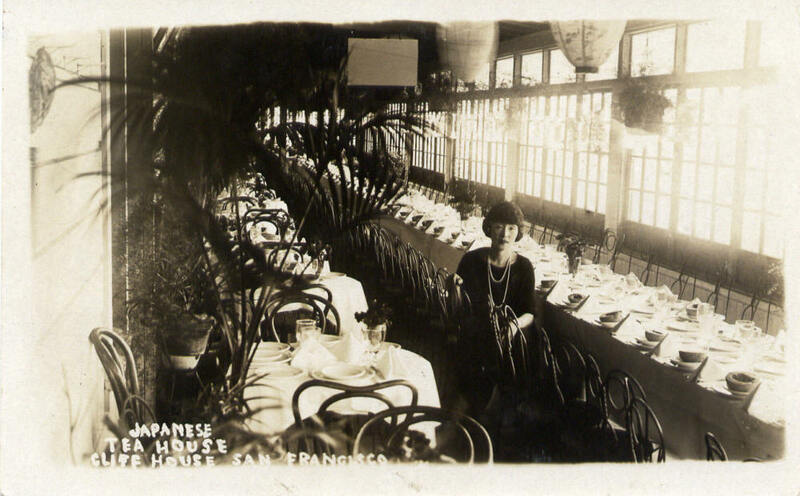 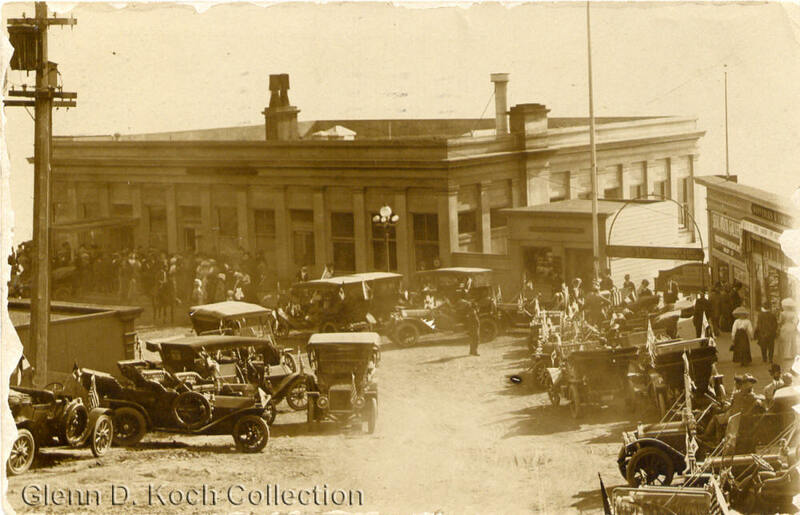 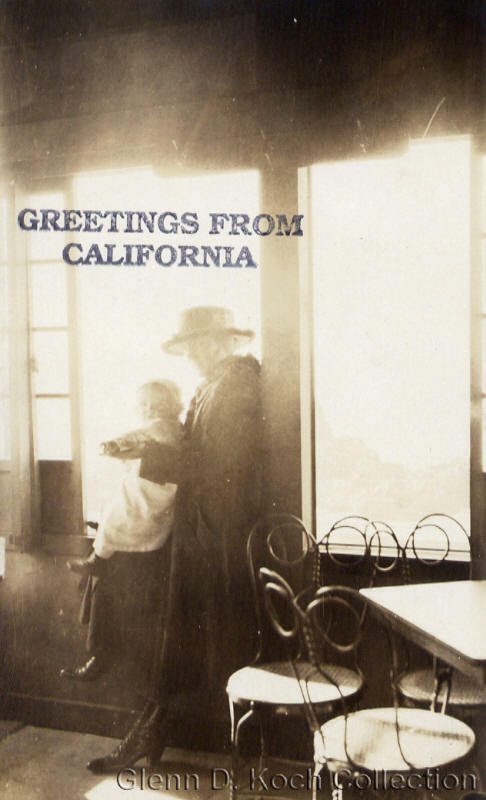 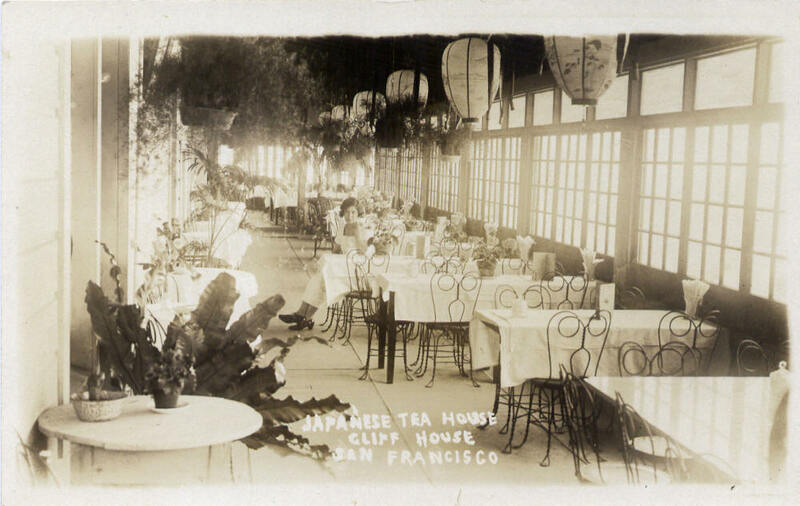 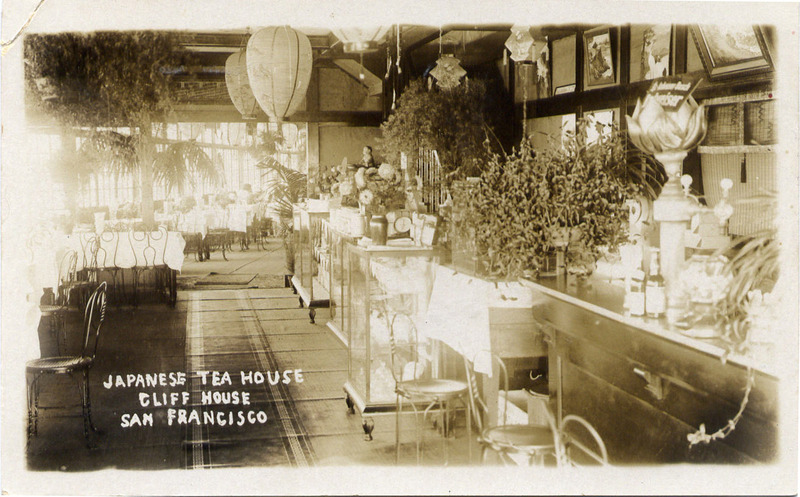 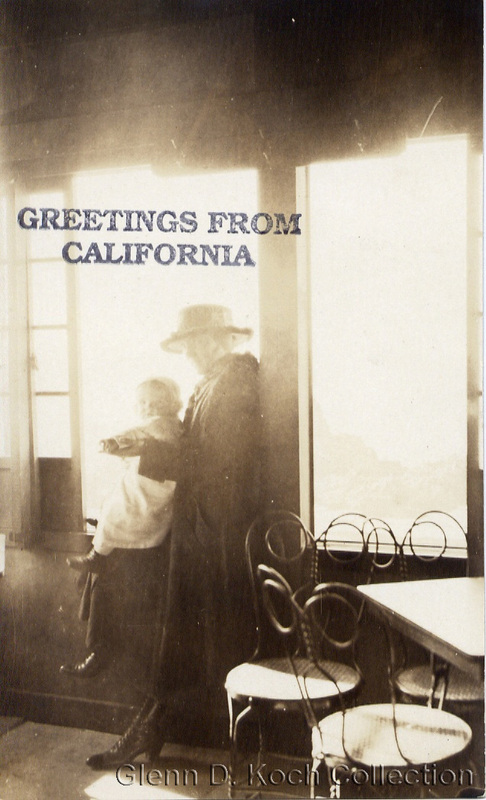 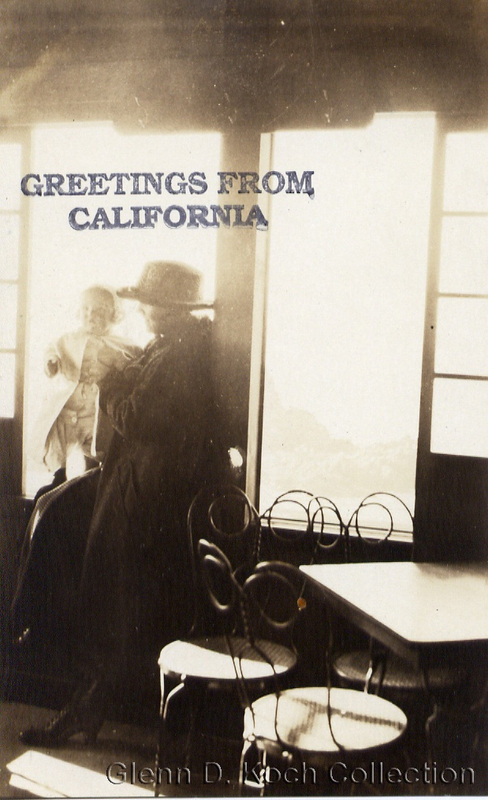 Taber Photo., San Francisco, Cal"
"Binghamton (?) 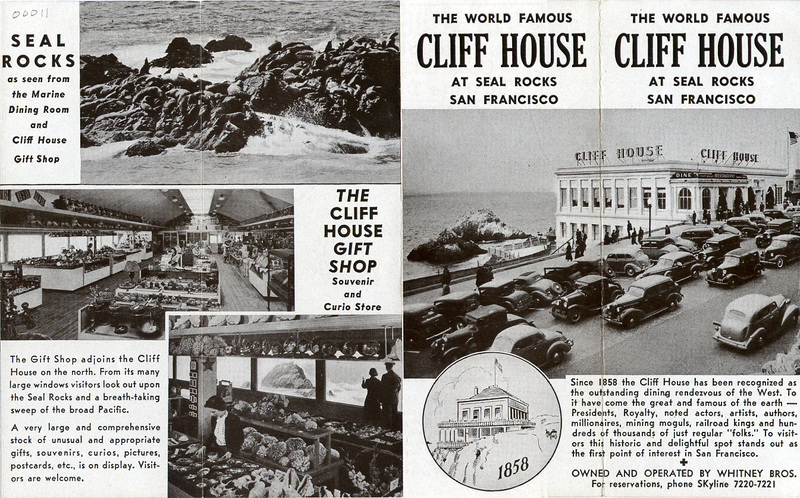 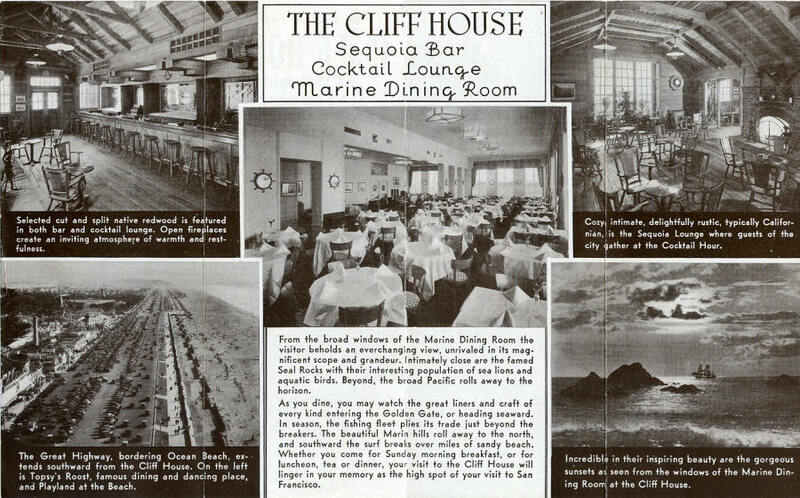 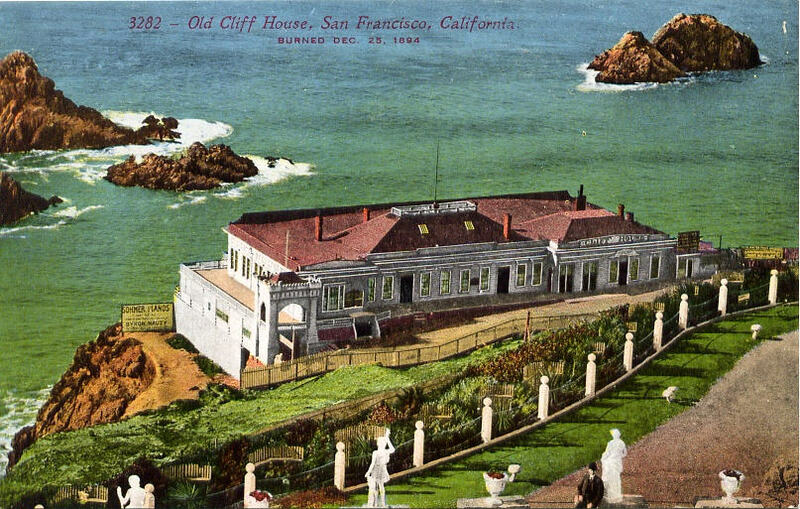 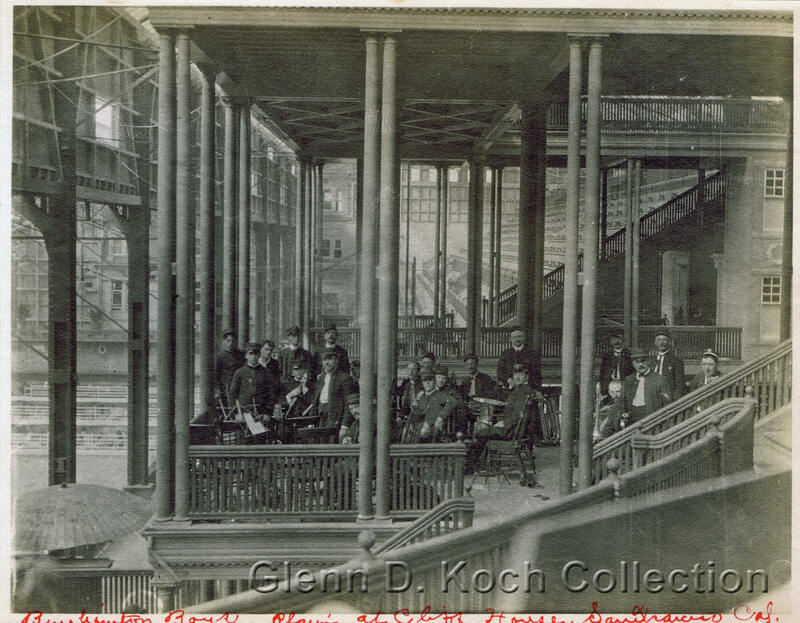 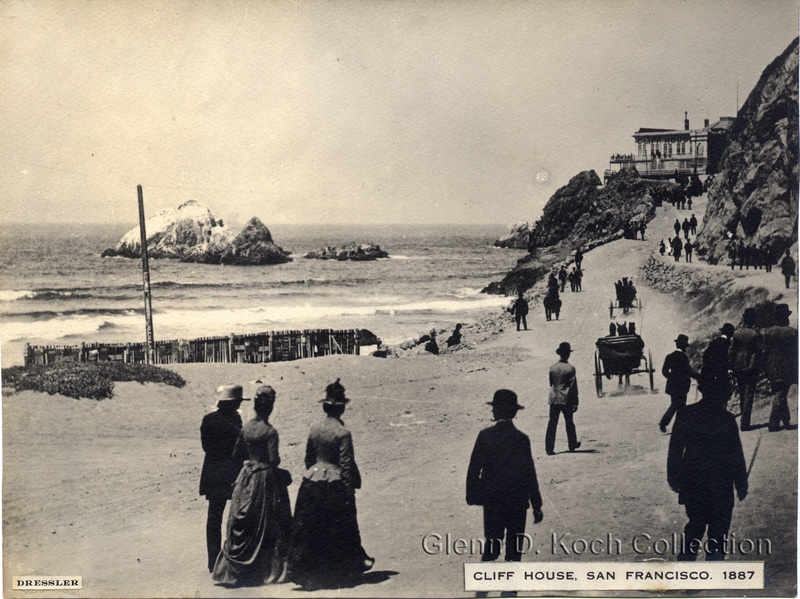 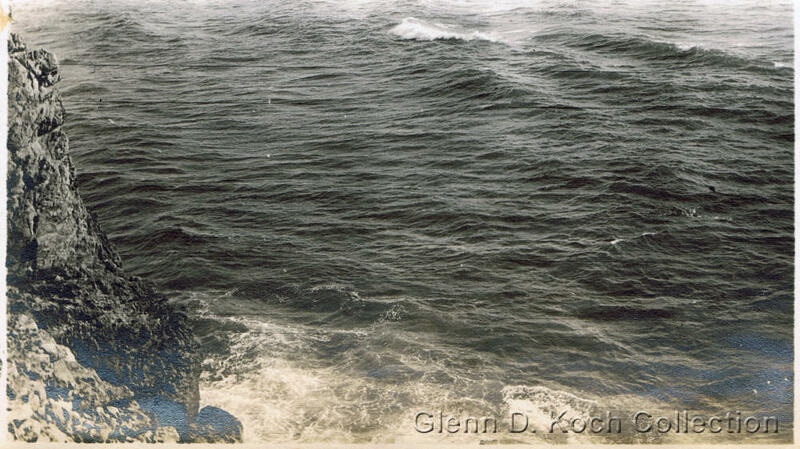 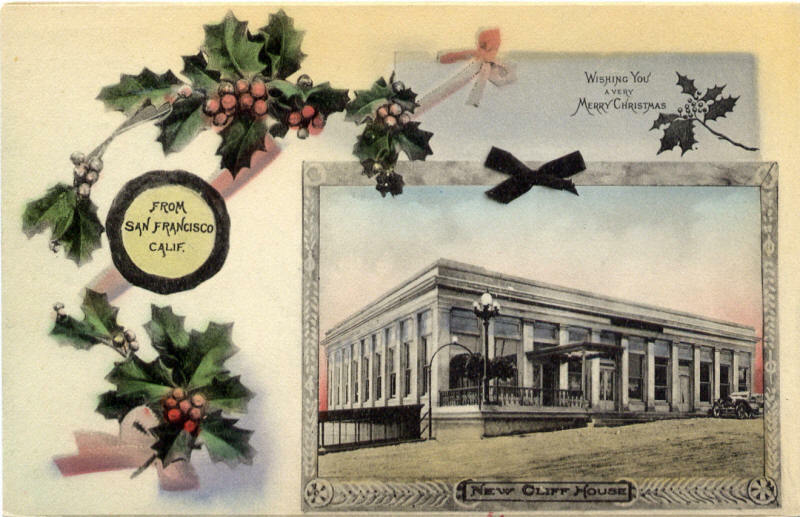 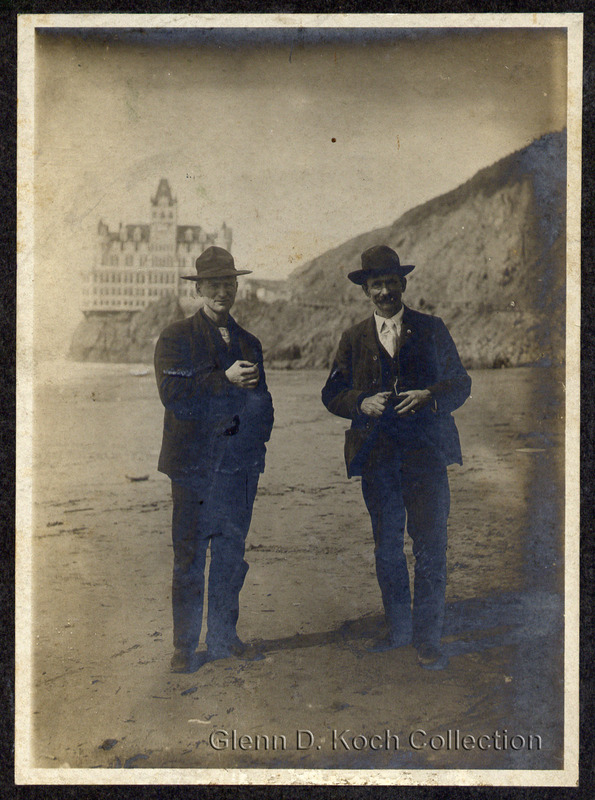 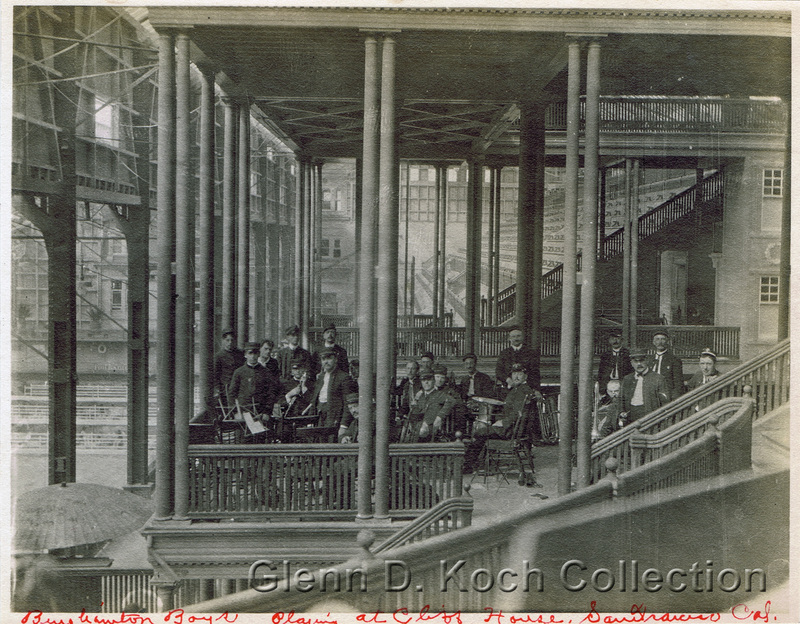 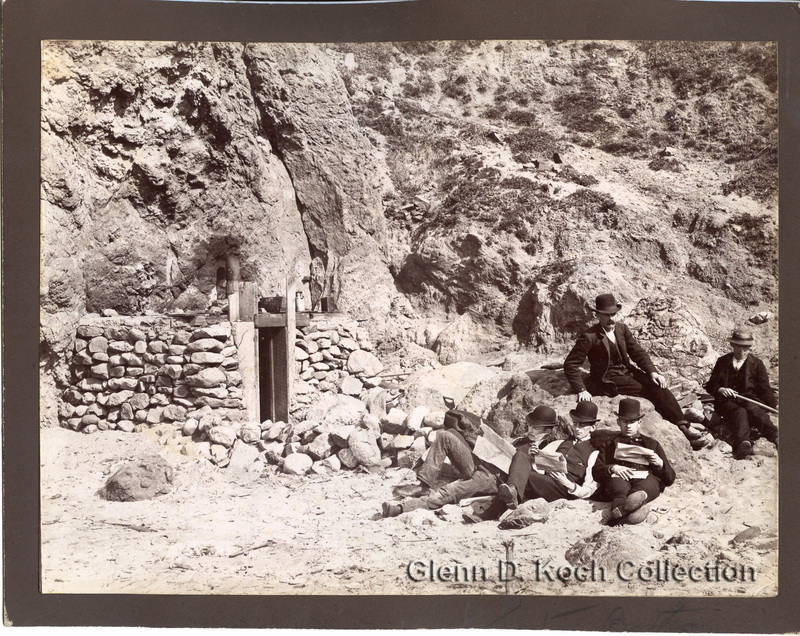 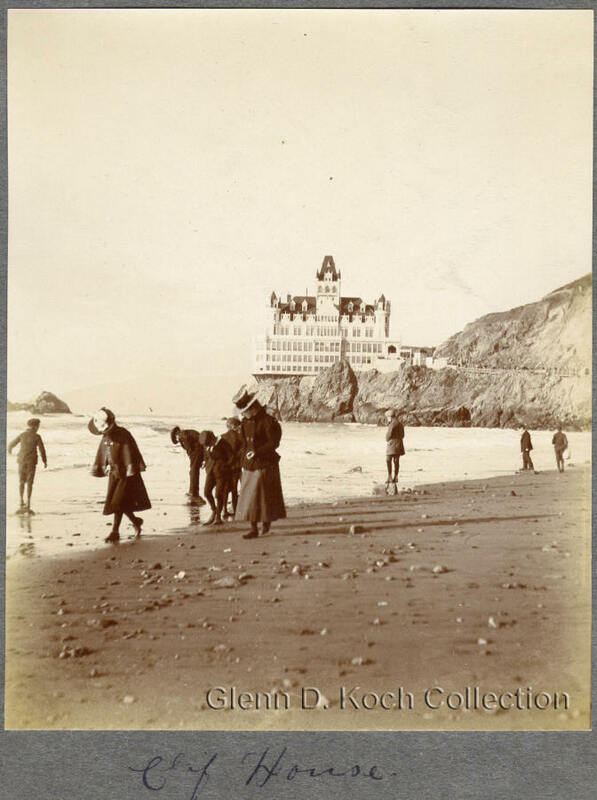 Boys playing at the Cliff House, San Francisco Cal." 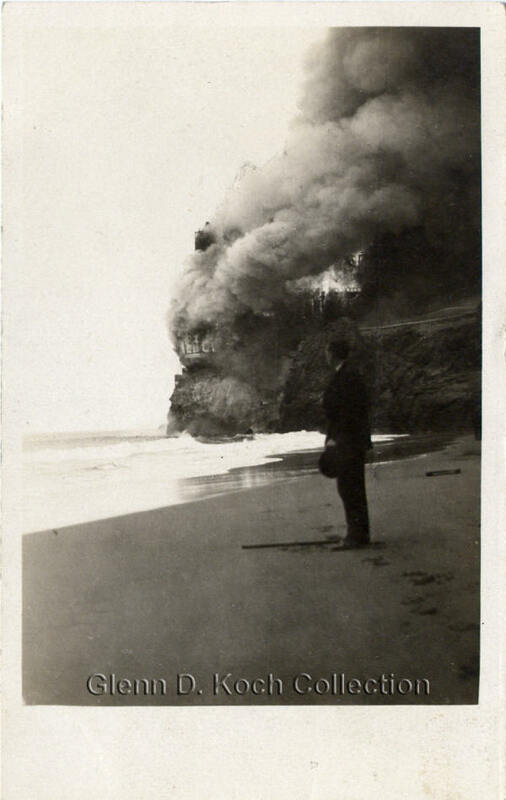 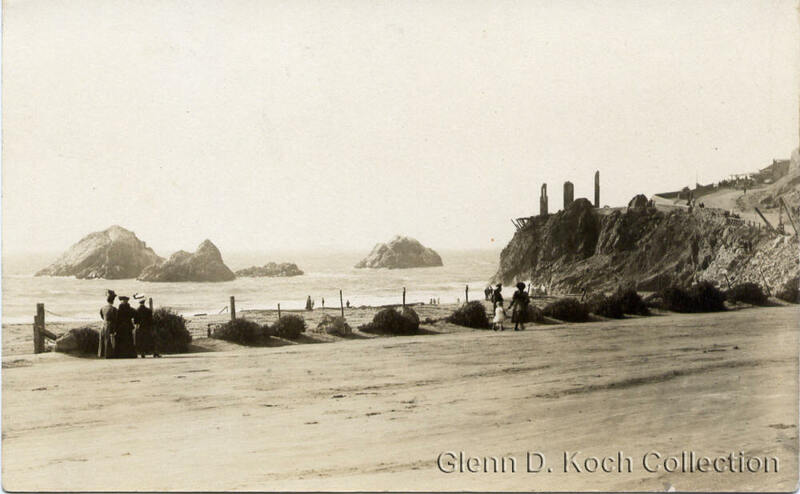 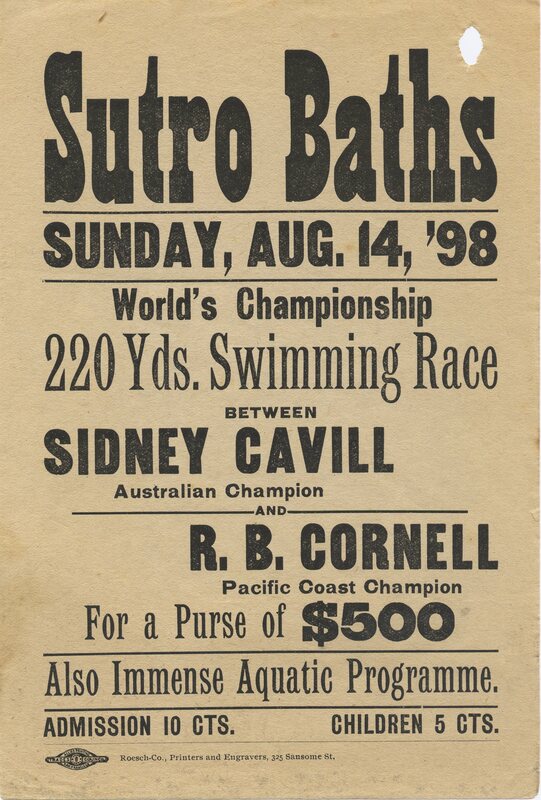 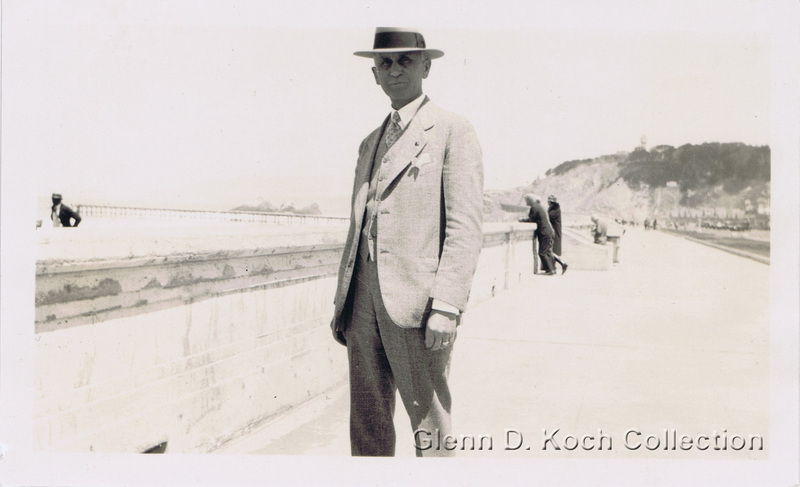 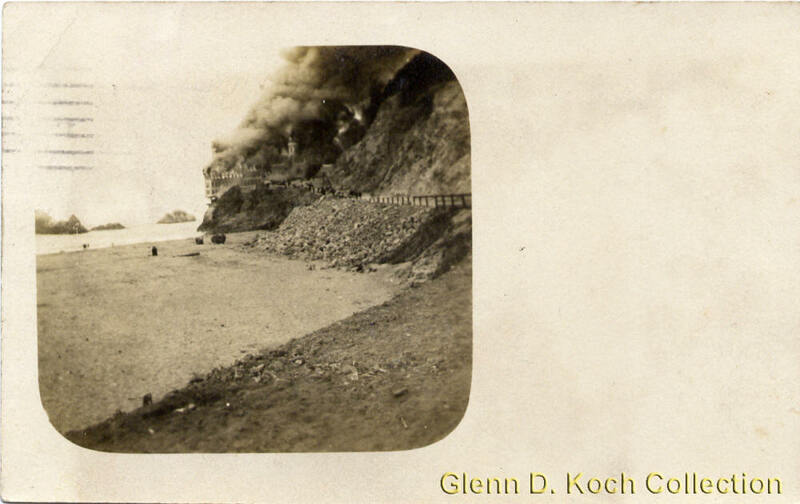 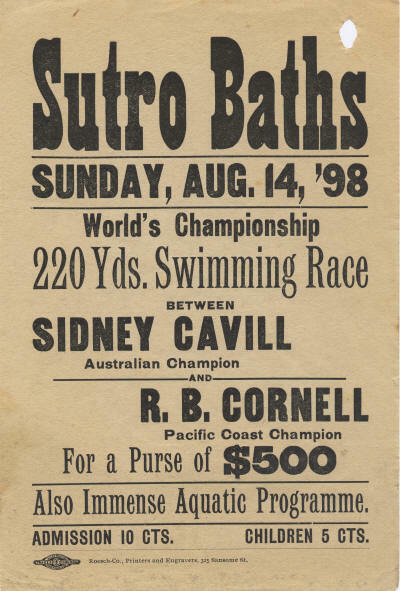 "Shooting the Shoots, Sutro Baths Cal."